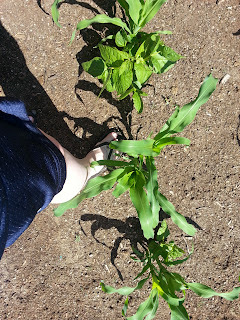 The Farmer's Almanac axiom is that corn should be "knee-high by the Fourth of July." Well, mine isn't. This is what getting a late start leads to. Short corn! It's only about calf-high, and some are even shorter than that. 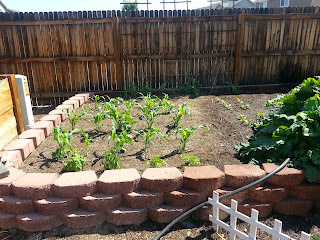 It just means instead of late July, it will be August before my sweet corn is ready to grill. 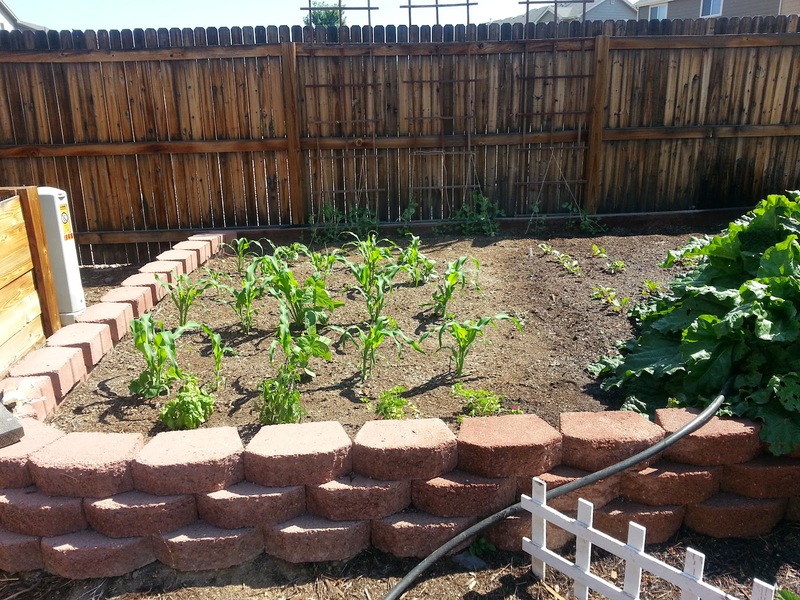 My lettuce is going well, and I'll be starting to pick it this week. The peas are going gangbusters, and I've begun to train them up the trellis. 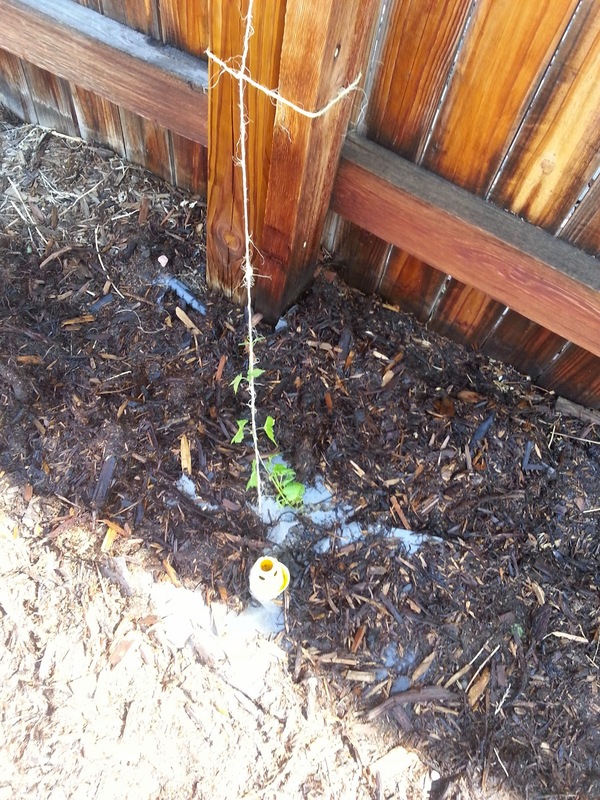 The cucumbers are also ready to be trained up the trellis, they just need to reach a liiiittttle farther. Since none of the bush beans came up (yes, I did soak them overnight), we had an open space in the garden. Mr. HPL decided he wanted to try tomatoes this year, so we could make salsa and marinara sauce, so we picked up a few and are going to give it a shot. We also bought a watermelon plant, so that makes watermelons AND cantaloupes. 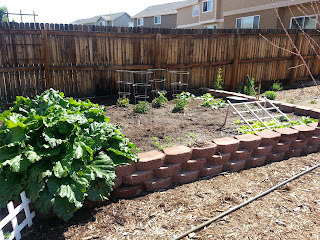 I'm going to try and trellis the melons too, so that they don't take over the entire garden. Oh yeah, I'm growing hops too. Centennial. There's Cascade and Hallertauer too.